No matter what your dental needs are, we provide you with exceptional services to improve your oral health and keep your smile bright. Below are just some of the many procedures and services we regularly provide to our patients – with a gentle touch, and stunning results. We’ll make your entire visit easy and that’s something to smile about. Your initial oral examination includes a visual examination, charting, periodontal probing, diagnosis and treatment recommendations. 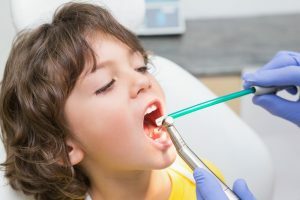 Dr. Kheny will also take digital x-rays, which will include periapical x-rays for proper diagnosis of the anterior (front) and posterior (back) teeth as well as bite-wing x-rays for proper diagnosis of proximal decay of posterior teeth. Digital X-rays reduces radiation by as much as 80 percent. Cleaning is a preventative procedure that is important to have done at least every 6 months, more often for certain individuals. A child should have a cleaning and fluoride treatment twice a year. 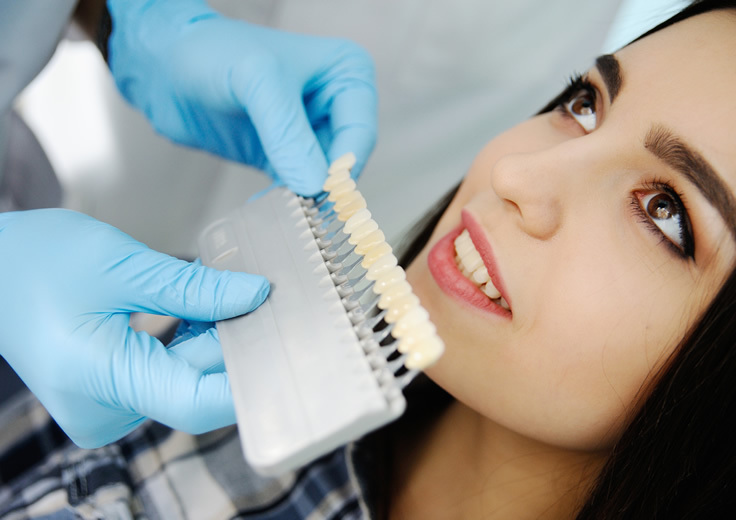 Composites, also known as tooth colored fillings, are designed to match the natural appearance of your teeth. They are used to restore a decayed tooth instead of mercury silver fillings that tend to darken the tooth and leak over time. 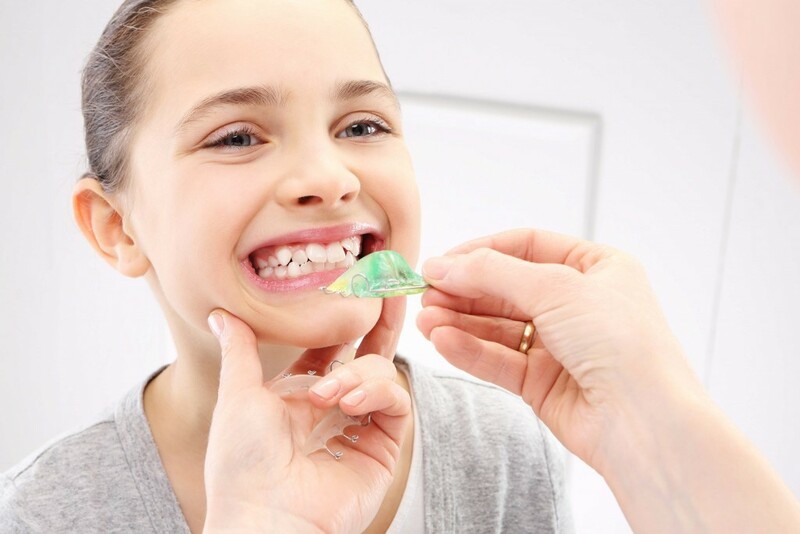 For example, once the decayed portion of the tooth is removed, we will place several layers of the tooth-colored composite onto this tooth to return it to a natural, beautiful shape. 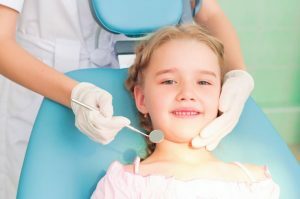 Space maintainers are a band or a temporary crown used when your child loses a baby tooth early through decay or injury. Maintainers are used to prevent the child’s other teeth from shifting into the vacant space. 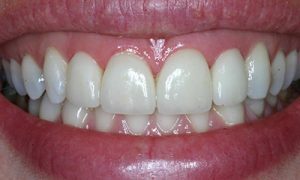 When the permanent tooth starts to come in, the space maintainer is removed. Fluoride treatments are applied to strengthen the enamel making it harder for acids to destroy your teeth. Your dentist can apply the fluoride treatment in the form of a gel, foam or varnish in minutes. 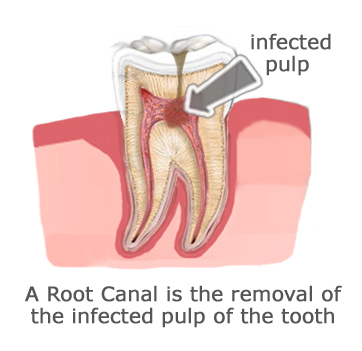 When the pulp that is inside the tooth becomes infected, it cannot repair itself. Years ago, extraction was the only option. Today, through endodontics, or root canal therapy, these teeth can be saved. 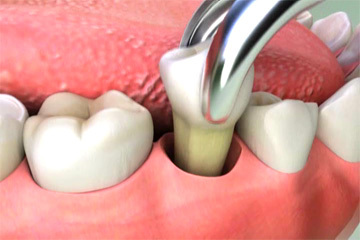 We perform root canals on anterior, premolar and molar teeth by appointment in our office. 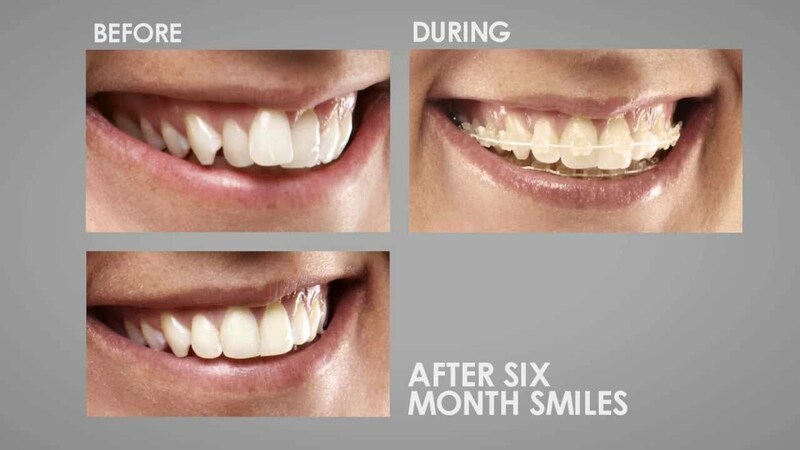 You can have a new beautiful smile with all-porcelain crowns or veneers on anterior teeth. Crowns are synthetic caps, usually made of a material like porcelain or a combination of porcelain and metal placed on the top of a tooth. Crowns are typically used to restore a tooth’s function and appearance following a restorative procedure such as a root canal. When decay in a tooth has become so advanced that large portions of the tooth must be removed, crowns are often used to restore the tooth. 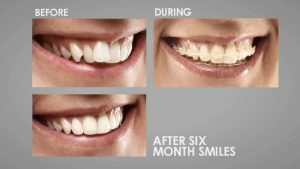 For the posterior teeth, the latest technology in porcelain and porcelain fused to metal crowns can be utilized to insure a beautiful, natural looking smile. Veneers, also called laminates, are wafer-thin custom-made shells of tooth-colored materials designed to cover the front surface of teeth to improve your appearance. These shells are bonded to the front of the teeth changing their color, shape, size or length. 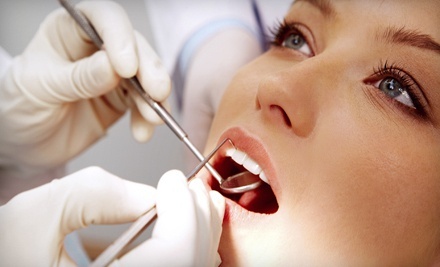 Bridges are natural-looking dental appliances that can replace a section of missing teeth. Bridges are custom-made so they are barely noticeable and can restore the natural contour of teeth as well as the proper bite relationship between upper and lower teeth. Bridges are sometimes referred to as fixed partial dentures because they are semi-permanent and are bonded to existing teeth or implants. Some bridges are removable and can be cleaned by the wearer; others need to be removed by a dentist. 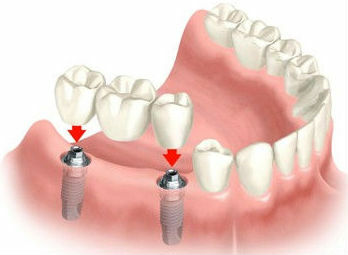 Implants are titanium structures that are placed in the area of the tooth normally occupied by the root. 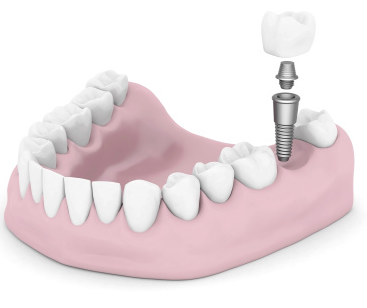 Implants are anchored to the jawbone and act as a foundation for an artificial tooth or permanent bridge. In some cases implants can be used to attach dentures. While Dr. Kheny does not place the implant, as that is usually done by an oral surgeon, she does make and insert the implant crowns and bridgework. 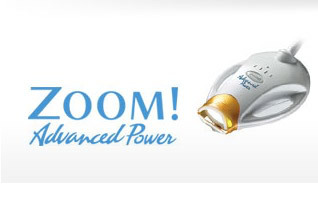 Our state-of-the-art, in-office Zoom Bleaching system will make your teeth 8 shades whiter in just one hour. Another option is our home bleaching system that you take with you, for results in 2 weeks. You can also consider a combination program of both systems for optimal, long-term results. Mouth injuries resulting in lost teeth, fractured jaws and concussions are often sports related. 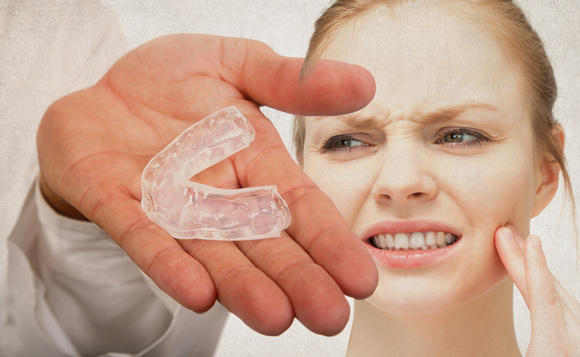 Many of these injuries could be prevented by wearing a mouthguard. A professionally fabricated mouthguard not only protects well, but allows for easy speech and breathing. We offer a complete range of orthodontic treatment options. We offer metal and porcelain braces, Invisalign, habit appliances, and retainers. We are an efficiently managed digital office, with an expert staff, and a commitment to high standards. Dental insurance is accepted and interest free payment options are available. Invisalign is ideal for patients with misaligned teeth who consider wearing metal braces for long periods inconvenient or unrealistic. 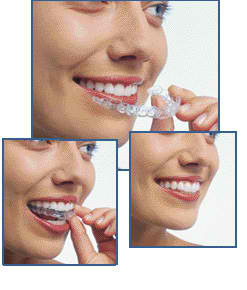 Unlike wire braces, Invisalign is easily removable so you can eat, brush your teeth and floss with minimal hassle. Metal braces are the best option for treatment because of its effectiveness and efficiency in moving teeth. It is an excellent option for kids and adults alike. With metal braces you can select colorful ligature ties to match your favorite sports team, an upcoming holiday, or simply as a form of self expression.